What if you could use a push-button, fully automated robot to make so much money that you’d be a millionaire in a year? Secret Millionaire Bot says their system does just that! But is it a real life-changing opportunity or just another hyped up scam trying to lure you in? 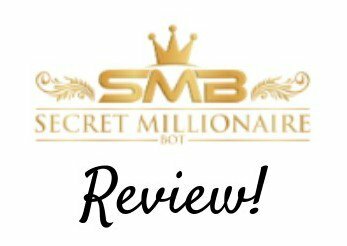 I bought Secret Millionaire Bot and will answer that question below in my full review. This is one program you’re going to want to check out before you buy! What Does Secret Millionaire Bot Offer? Secret Millionaire Bot is a make-money-online (MMO) program created by a man named Charles Allen. You can access it at SecretMillionaireBot.com, and it sells for $37, although if you try to leave the webpage, it will offer it to you for $17. The sales video starts out by telling you that you are one of the lucky people to be offered access to a secret club of millionaires. It then shows you pictures of bank accounts that have up to $7 million+ and offers some testimonials about the fantastic life-changing system that you’re going to hear about! First off, any program that has to wave those outrageous kinds of dollar signs in front of you to get you interested in their program sets off alarms for me. According to Allen, he and the other marketing pros who invented Secret Millionaire Bot have been making millions from this program on autopilot in secret for 2 years. Yet when it comes time to market it, they have to use fake testimonials from paid spokespeople? If the results are real, the testimonials would be real. So this is a big red flag for me right off the bat! The next thing you hear in the video is that they are going to unveil to you exactly how you’ll be able to bank up to $1 million a year with a push-button, fully automated robot. Sounds pretty intriguing, right? However, the problem is that they never actually get around to telling you what the program is about! It tells you that Secret Millionaire Bot is a software that identifies lucrative money-making opportunities online and has the potential to make “life altering profits”. You listen to 5 minutes of marketing hype talking about making millions of dollars and being part of a “secret club”. Then you’re supposed to be so pumped up about how much money you can make, you don’t notice that you have no idea what you’re actually buying! Legitimate MMO programs have no problem showing what they have to offer because they are confident you’ll see the value in it. So this is a very big concern for the legitimacy of Secret Millionaire Bot. In order to see exactly what the system offered, I purchased it for $17, and I’ll detail what I found in it below! Step 1–You’re told to watch a video entitled, “FREE TRAINING: How To Earn A 6-Figure Side-Income Online”. However, this is just another sales video for John Crestani’s MMO system that sells on Clickbank as well! Why would I consider buying another system when I just bought one that’s supposed to make me a millionaire in a year? Step 2–In this step you’re supposed to sign up for a VIP members only workshop to start earning your first 6 figures within a month! But you’re only signing up for a webinar to get you to join John Crestani’s system–which is not free, by the way. These first 2 steps are designed to generate affiliate commissions for Charles Allen, because he’ll get paid if you sign up for the program. Step 3–Here you’re supposed to activate your exclusive free website for VIP members thru CoolHandle. However, you have to buy a domain name and pay for the web hosting to get your free website, and it’s not a first-rate hosting platform. Also, Allen will again receive commissions from CoolHandle for you signing up. Starting to see why this program was so cheap? The small price was to get you into the sales funnel for bigger commissions and upsells! Step 4–In this step you’re supposed to claim their highest recommended program. But when I clicked on it, I 100% knew that I hadn’t bought a legitimate program. Their #1 recommendation is a program called Bulletproof Profits. This is an MMO program that I reviewed in February and strongly recommended that no one buy it! I determined that it had no value and gave it our lowest rating of 1 out of 5. This is a push to buy a third MMO program! In my reviews I try to educate about all the signs that could signal you’re looking at a scam. One of these signs is when things don’t make sense. It makes absolutely no sense that I’d have any use for any other system if the one I just bought was legitimate and lived up to its claims. Why would I ever need it? But for those who are inexperienced, they may not see that they are being led through a sales funnel that could cost them hundreds of dollars or more if they follow these steps. So you have to ask yourself, “Does this make sense?” In this case, No! So now I’ve gone through these steps and looked at what is in each of them, but still hadn’t gotten to the Secret Millionaire Bot yet. I finally got to a menu that had weekly sections for 8 weeks. Each one had a drop down menu for the videos for that week of the training. What I found as I went through these videos was that the entire system consisted of setting up an Instagram business page and making money from that! There was no push-button secret robot that did everything on autopilot, no Instagram miracle system that was going to create $1 million for anyone. It was literally an overview of ways to make money with this social media, and it could have been found online for free with 1 Google search. There were a total of 11 videos and less than an hour and a half of general information in them. Nothing that I saw was worth the $17 I paid for, in my opinion. ~ Secret Millionaire Bot Pro, selling for $147–This upgrade is billed as a 100% done-for-you solution that is guaranteed to get you going faster and make you more money. However, it still didn’t give any information about what you’re actually buying or what value you would get for your money. ~ $50 Discount for Pro Upsell–If they didn’t give me any reason to buy the Pro upgrade at the regular price, I saw no reason why it would be any better of a buy at $97. ~ Auto-Profit Replicator, selling for $147–This upsell is supposed to enable you to increase your earnings by 1000X with a huge untapped source of free traffic! 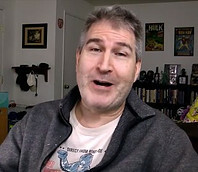 A secret source at Google showed him how they had “majorly dropped the ball” so people were missing out on millions of dollars worth of free traffic. So the original program I bought was supposed to make me a millionaire in a year, and now for $147 I can increase that by 1000X completely on autopilot! Yet, I still had no idea at all about what I’d be buying, the outrageous income claims are supposed to be enough for me to pull out my wallet. ~ Unlimited Traffic On Tap, selling for $497–Supposedly, I have a chance to be one of only 50 people who will be allowed to purchase this upgrade. It will allow me to siphon off traffic from his successful web pages and have over 100,000 visitors at my fingertips at any given moment! But, they also basically say that without this upsell, you won’t be able to generate any traffic. Wait a minute! So they’re admitting that you won’t make any money without this? Million Dollar Replicator is a program widely reviewed as a scam. It’s a widely known practice to take one program and simply change it up, put a new name on it, and resell it as another brand new MMO system. I believe that these screenshots were supposed to be changed to Auto-Profit Replicator when they reworked the system into Secret Millionaire Bot. Since I have not done a review of Million Dollar Replicator or seen the sales video, I have no proof, just my opinion from my experience. I believe that purchasing any of these upsells would be throwing good money away, so I did not upgrade to any of them! 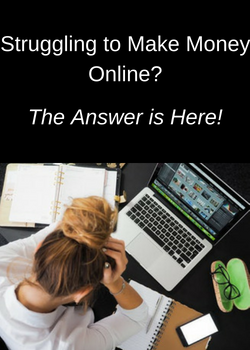 ~ Outrageous Income Claims–Saying that this program has the potential to make you $2479 a day and a millionaire in a year on autopilot with hardly any work is ridiculous. There is nothing in this system to support those claims, in my opinion. 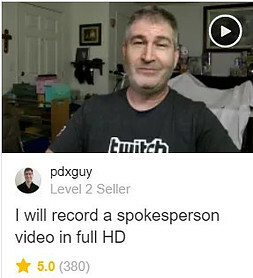 ~ Paid Testimonials–I found fake testimonials from paid spokespersons that advertised on Fiverr. Any system that can’t back up their claims with real testimonials is one to walk away from. Legitimate platforms don’t make these kinds of claims and their spokespeople are real users of the system that got actual results. 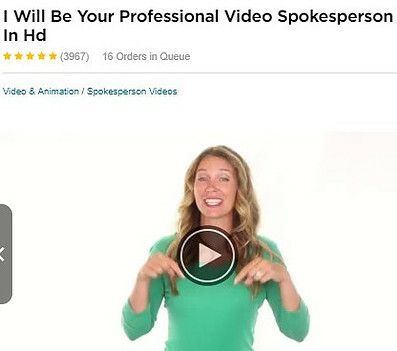 ~ No Information Before Purchasing–They take you through several sales videos and talk about everything except for the only thing that matters, which is any detail about what you are actually purchasing! I even went through half of the actual program that I bought before finding out that the system was about making money with Instagram. ~ Scammy Marketing–The marketing tactics used are the same techniques that I found in other very poor and scam type programs. It’s designed to target those who are inexperienced and naive in order to get as much money from them as possible before they find out what they’ve actually bought. ~ Affiliate Commissions–You are taken through several steps that are designed to get you to sign up for things that you don’t need, but that provide commissions to Charles Allen. Affiliate marketing commissions are not a problem, that’s how I make money online myself. But promotions as part of a step-by-step program that are just designed to sell you other worthless programs is a huge red flag! ~ Two More MMO Programs–Two of the promotions I’m talking about are other MMO programs. This doesn’t make any sense at all because if the one you bought actually makes money, why would you ever need or want to buy another one? This in itself was proof to me that Secret Millionaire Bot was a scam type program even before I saw the members area. ~ Worthless Program Materials–Once I got into the actual members area and saw the actual program, I found that it was general, non-original information about making money on Instagram that could be found for free online. 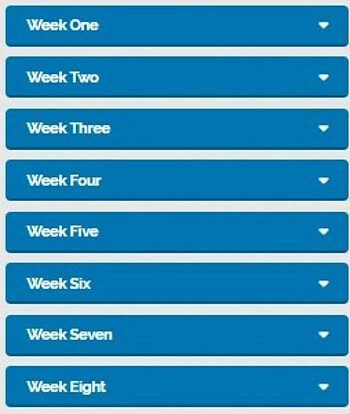 For their 8 week course, there was a total of less than an hour and a half of general videos. ~ Expensive Upsells–The upsells for Secret Millionaire Bot are expensive, and in my opinion, I saw nothing that made me believe they were worth buying. 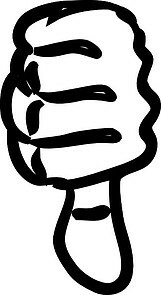 ~ Rehashed Version Of Another Program–There is evidence that Secret Millionaire Bot could be just a reworked version of another program called Million Dollar Replicator. This is a widely panned system that many believe to be just a scam. Here at Build Your Early Retirement, we give Secret Millionaire Bot our lowest rating of 1 out of 5. We strongly encourage you to walk away from this system and believe that you will never make the income that they claim is possible. For those of you who are tired of these scam type programs and want to make REAL money online, I recommend that you check out my #1 rated program. It’s where I have 6 websites in my online business and is 100% legitimate. You can read my full review here, and if you’d like to check out all the features they offer, you can do it completely free of charge. In fact, you can get training, 2 websites, and help from their awesome community forum–all with no credit card required! Do you have any experience with Secret Millionaire Bot or any other MMO program you’d like to share? We’d love to hear about it, along with any questions you have, in the comments below! Hi Janelle, I must say that this article is very helpful and informative. I think that it is very important for people to learn the real truth about earning money online and that success overnight is not possible. This bot is an example of where people should not waste their money. Thanks a lot for sharing such great info. You’re welcome! Hopefully people will read reviews before purchasing systems like this and save themselves a lot of time and money. It scary what overhyped marketing can do to someone who is brand new to the internet and who are looking for a legit way to make money online. I learned the hard way, that there is no autopilot money making software that is going to make you quick and easy money. So, for a system like Secret Millionaire Bot to claim that it going to make you a millionaire, definitely set my warning bells on high alert. The second I read that they used fake testimonials, I knew that these guys are taking their chances and messing around with people’s lives. Thanks for exposing them. You are doing an awesome job. These type programs always target those who are vulnerable and naive. 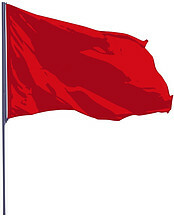 I hope that by reading my reviews, people will learn how to spot these red flags for themselves to avoid scams. You have great instincts to read reviews and see thru the scammy marketing tactics! Hi, Janelle. Great review! I loved it when you asked why they needed to do fake testimonials if they had been so successful. I am pleased to see that you found an earlier version or similar product to show that the SMB is just an old rehashed program looking for new suckers. I don’t have problems with products that come with upsells as long as they provide value. But it is important that the marketers clearly explain what the upsells are. I bought a new car last fall and the dealer offered a number of upsells. That is typical in the new car business. It is apparent that SMB really offers little or no value with the upsells. You’re exactly right about the upsells! It’s a standard sales practice and nothing wrong with it. But when the only thing you know about what you’re buying is a bunch of outrageous income claims and no info about the actual program, it’s definitely a red flag. Thanks for stopping by and taking the time to read my review! Thanks for the article, it’s really a call for alarm. I wish many people are like you who will be bringing out all these fake scam sites and investments to us. Many of us like me too want a genuine business online that will be bringing money in return from investment but because of the scamming rate I don’t think there is still a legit MMO. Please notify me if there is any. I think you’re in the same place I was several years ago when everything I looked at seemed unrealistic and like a scam. It’s frustrating! But if you want to make long-term, consistent money online, I definitely recommend that you check out Wealthy Affiliate. 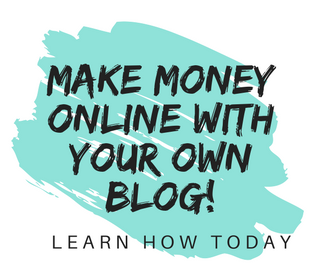 It’s my #1 rated program, and I have 6 websites in my online business hosted with them–so I can personally vouch for the fact that their system is legitimate! They teach you how to create an affiliate marketing business and have a free starter membership so that you can see everything they offer. Then if it looks right for you, their premium membership is just $49 a month. Here’s my full review, and good luck starting your online business! Thank you for warning us about this scam, when people share this kind of information, it’s easier for people to be avoid paying for nothing. And also educating people about the signs that should alert us about some malicious MMO. Besides that, your review was very thorough and detailed and I know I can trust you when you say we should stay away from Secret Millionaire Bot. Thank you so much for taking the time to read my review, and I’m so glad it was helpful! Hopefully it will help people see this program from another perspective and help them make a buying decision that’s informed and right for them. I Want To Make Money Online Now!